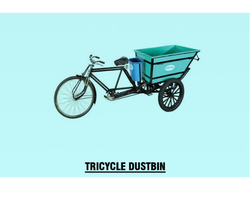 Providing you the best range of tricycle dustbin rickshaw with effective & timely delivery. Maximum Speed 10-20 PER K.M. Garbage Tricycle Rickshaw, with the heavy metal body for the purpose of "SAWACHH BHARAT ABHIYAN MOTTO"